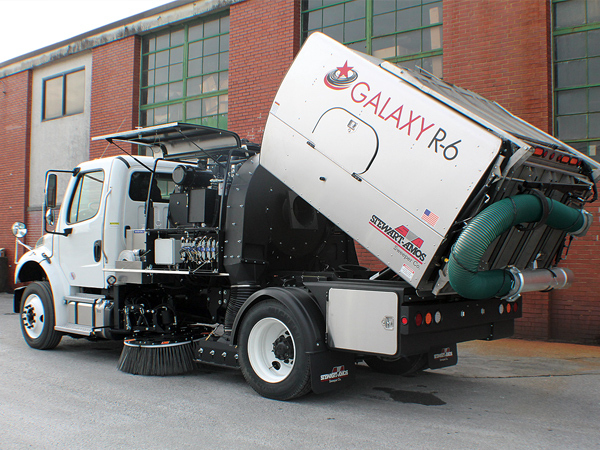 The R-6XL is a full-featured, high-capacity 6 yd3 regenerative air street sweeper that is mounted on the largest non-CDL chassis available. 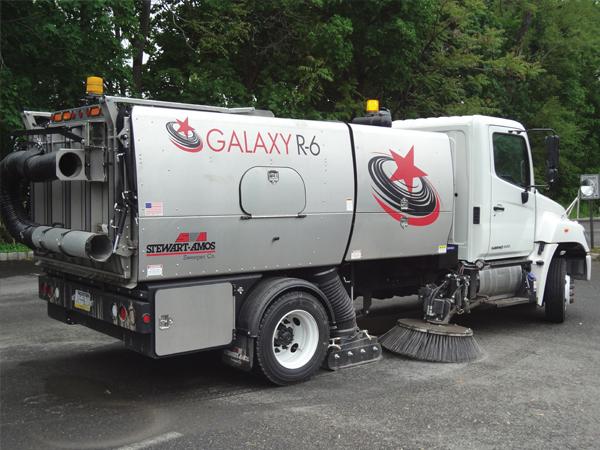 Manufactured with reliability and simplicity in mind, the R-6XL features a blast orifice style sweeping hood that generates a powerful air flow needed for deep cleaning road surfaces. 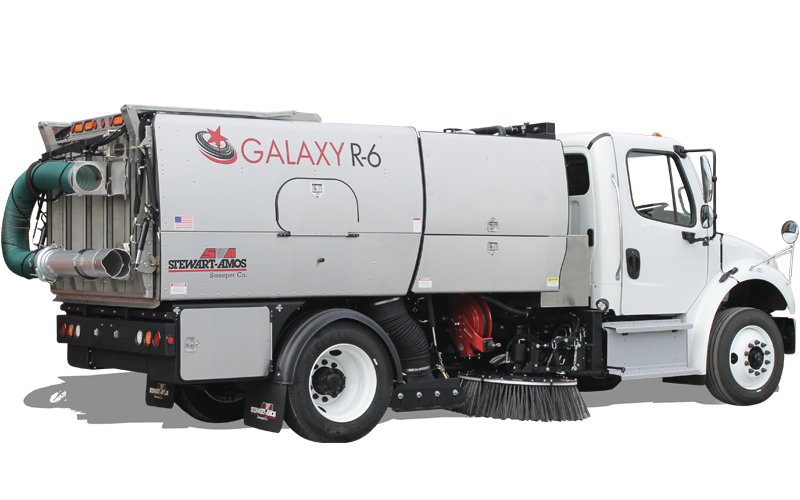 The R-6XL offers the right combination of size, power, and capacity, making it perfect for a variety of applications, including sweeping roads and congested downtowns. 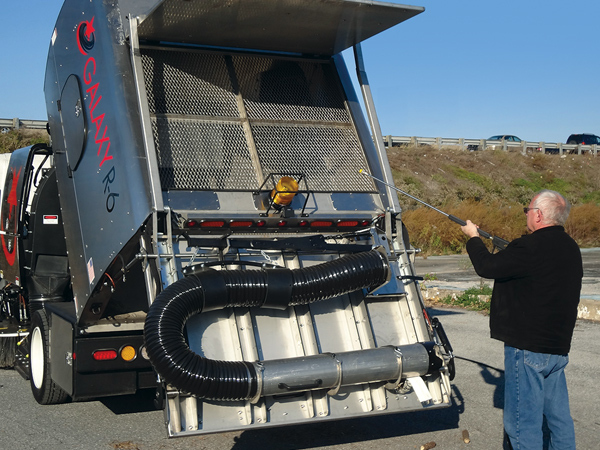 Optional High-Pressure Wash Down System with 50' hose reel & spray wand allow separator screens & hopper to be cleaned at any time which can improve vacuum performance. 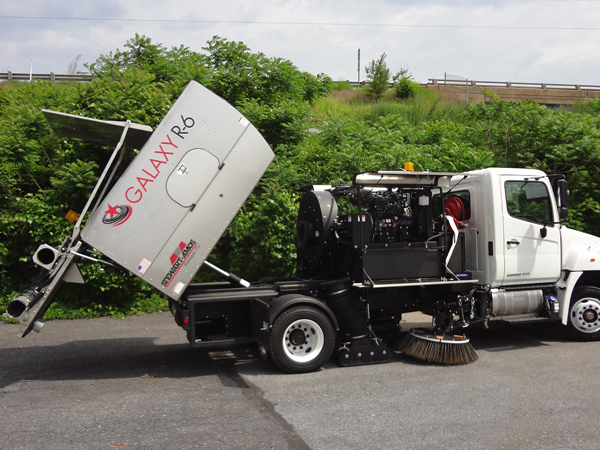 Mounted on 26,000 # GVWR, non-CDL chassis. Optional air ride suspension is available. 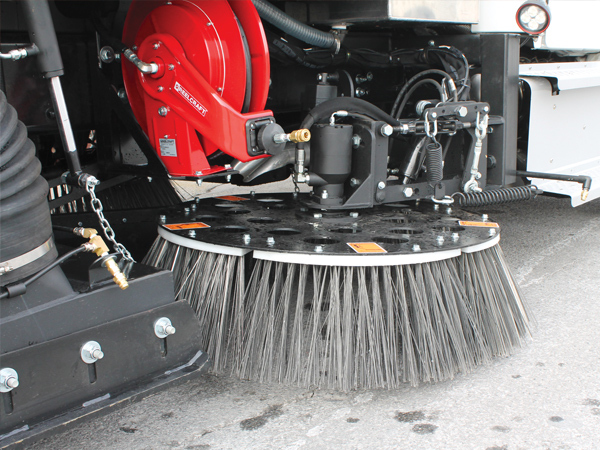 6.12 yd3 hopper minimizes dump cycles & maximizes sweeping productivity. 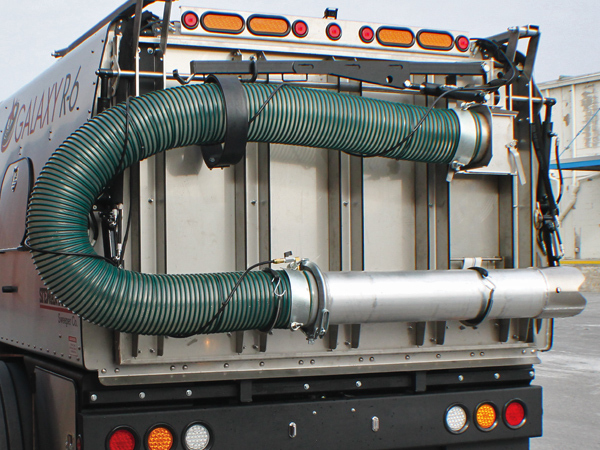 A deep hopper cavity aids in effective dust/air separation & improved dust control. 330 gallon polyethylene water tank is protected by a steel enclosure. 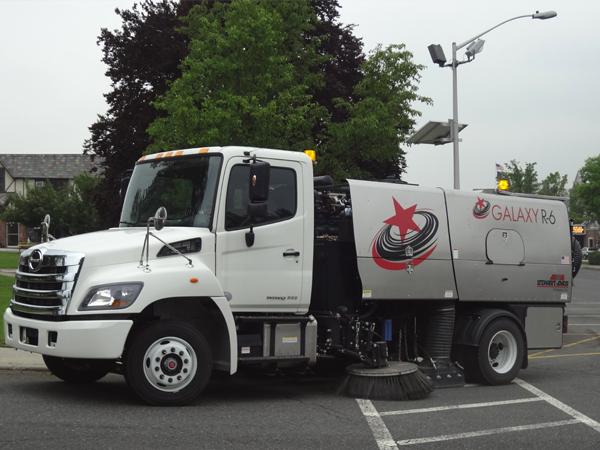 A 3-zone pump system ensures dust-free sweeping. 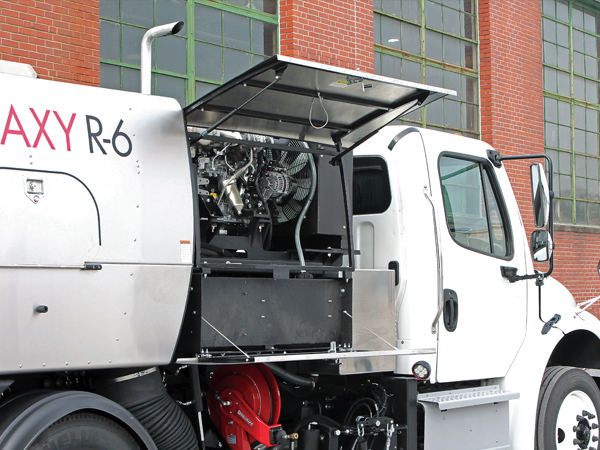 Electric diaphragm pumps provide long service life. 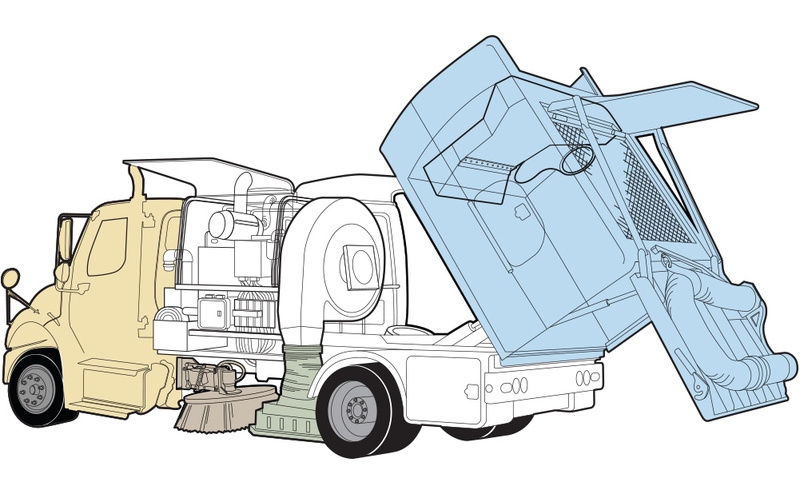 Two large, interconnected storage compartments provide over 20 ft3 of space across rear of unit for tools & vacuum hose extensions. 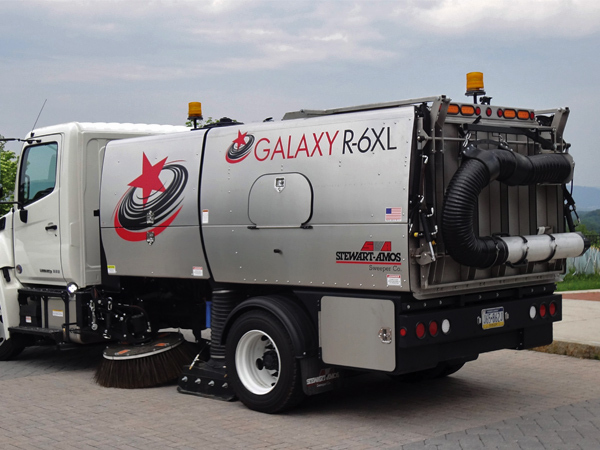 Learn more about our Galaxy R-6XL Regenerative Air Sweepers.